With growing news of the Australian housing market’s downward trend in price, paired with a trend of increased average of days spent on the market, Lightspeed decided to investigate Australian perceptions relative to news reports. In particular, this study focused on eagerness to buy a property, how they feel the market has performed over the past 12 months, which channels Australians rely on for news and how on point they feel the news is to their position. Notably, of those not interested in purchasing a property, 30% of respondents still reported they would buy immediately if they had the money for it. The factors of age, already own and money readily available were the most common reasons, but not true factors, indicating that the Australian economy is heading towards a slump. Respondents reported that the average prices of property are viewed as too high for the value of the property, suggesting that the housing market will need to lower costs for buyers to see true value in the list price of the property. 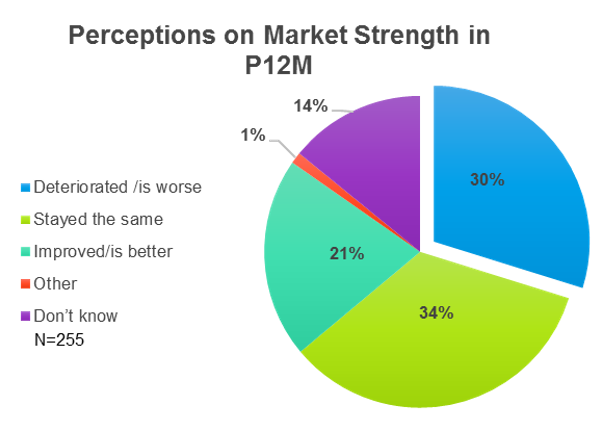 According to Australian respondents, 1 in 3 believe the market has deteriorated, while the other large majority (34%) believe the market has stayed the same in the past 12 months. That’s 64% that believe the market has deteriorated or stayed the same. This has been closely reflected in real estate news sources and mainstream news sources alike. Which news sources are most common to be utilized? From the data collected, there was no major variation between news sources utilised by those “interested to buy” and those “not interested to buy”. 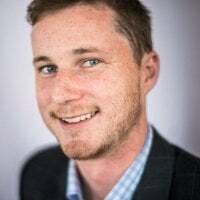 This indicates that there isn’t a strong bias coming from new sources, such as realestate.com.au or Domain, that would lead readers to become more risk averse on the outlook for the housing market. 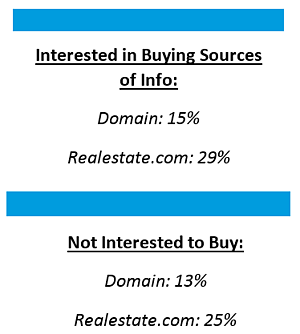 Realestate.com.au was widely the most preferred news source for both respondents that were “interested in buying” and those “not interested”. This could be closely linked to their trust in the brand and the associated news published. 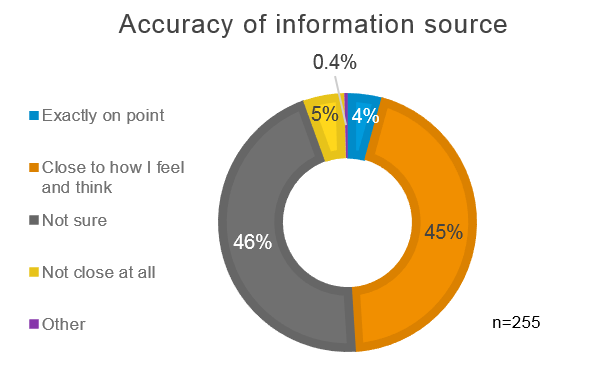 Almost half of the respondents felt their main news source is “exactly on point” or “close to how I feel and think”. However, there was a significant group who felt uncertainty regarding their preferred news source, even though it is their main source of information on the housing market. For example, some open-ended responses expressed they couldn’t validate the new source’s information, indicating the news sources need better references for facts, how conclusions were derived and where/how data was collected. This opinion was held by 46% of those surveyed, which indicates the average Australian’s confidence in understanding the housing market is low. However, it’s more likely this group represents those who aren’t sure how to trust their news source and that there is a gap in understanding the housing market for the average Australian. In summary, the Australian housing market is not strongly regarded by respondents. 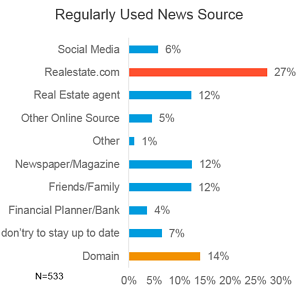 News articles and popular news sources (Domain and Realestate.com.au) are widely perceived as accurate by half of the market in their measurement of the current market conditions, while the remainder are unsure.